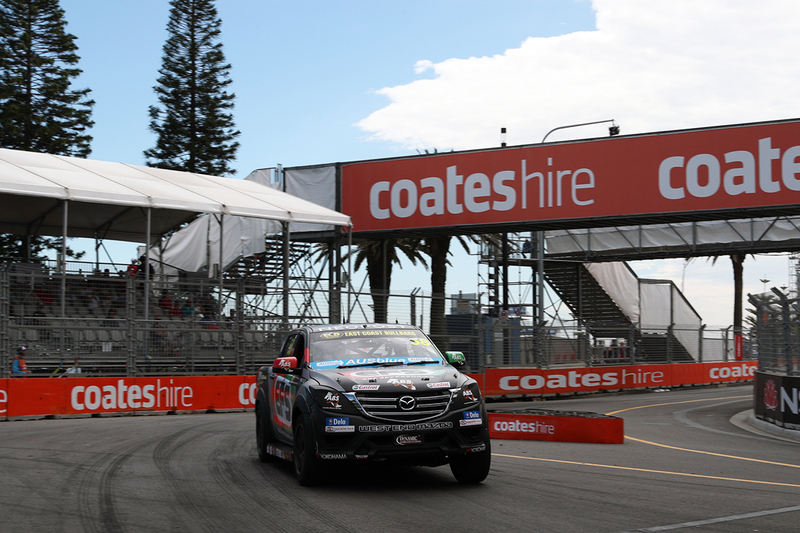 Mazda driver Ryal Harris claimed a commanding victory in Sunday morning's ECB SuperUtes Series second leg, at the Coates Hire Newcastle 500 finale. Making light work of his competition, Harris started from sixth with a reversed-grid and went on to take the chequered flag in the top spot. He was into first place by lap four of the 10, moving past Mathew MacKelden at Turn 2, who he beat by 1.4527 seconds. 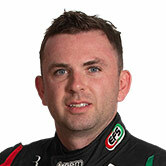 With the victory, the EFS 4x4 Mazda driver extends his lead of the series to 28 points over Craig Woods, who finished ninth after serving a penalty. "I made a good start and gained a few positions off the line, the others didn’t make it too hard for me," Harris said. "Obviously there were a few Safety Cars but once I overtook Matt it was fairly straightforward. "We knew it was a race we needed to win, so good to bring it home and extend our lead." At the end of the weekend, each driver will drop their worst round to determine the final points and crown an inaugural champion. From the rolling start, Steve Wilson led the opening lap, with MacKelden close behind in second, with Harris already up into fourth by the second lap. There was early drama for Aaron Cameron, who was lightly tagged by Micheal Sieders and speared into the tyre barrier at the Turn 2 exit, ending his race and bringing out the Safety Car. Racing resumed at the start of the fourth lap, with MacKelden taking the lead, before Wilson was spun into the wall during that same lap. Wilson was lightly tagged by Woods at Turn 4, before Charlotte Poynting slammed into the side of the Isuzu with nowhere to go, ending Wilson's race. As a result, Woods copped a drive-through penalty, which he served on lap seven, dropping the title protagonist to 10th and ultimately finishing ninth after gaining a spot. "Ben [Walsh] got past Steve and I thought Steve was letting me through as well, but he closed the door," Woods said. "There wasn’t much I could do in that part of the track to avoid it. "We copped the penalty but my Ute sustained some steering damage as well, so it was less than ideal." That brought out the Safety Car again, Harris taking the lead at Turn 2 after the restart and holding onto the spot for the entirety. Ben Walsh rounded out the podium, ahead of Race 1 victor Tom Alexander and Richard Mork. SuperUtes debutants Justin Ruggier and Aaren Russell occupied sixth and seventh respectively, Russell having finished Saturday's opening race a close second. Sieders finished ahead of Woods and Poynting who rounded out the top 10, despite making heavy contact with Wilson earlier in the race. The third and final race of the weekend to decide the title will be held at 11:55am Sunday.